Get your free Triple glazed windows from The Advanced Group, yes, I said FREE. The Advanced Group are giving away Free Triple Glazing in Glasgow, Edinburgh, Dundee, in fact we’re giving away Triple Glazing Scotland wide. I know you have probably heard the old adage “if it sounds too good to be true, it probably is”, and you have probably also heard that “to every rule, there is an exception”. Well, as far as The Advanced Group giving away triple glazed windows is concerned, this is the exception to the “..to good to be true” adage. How is this the exception? 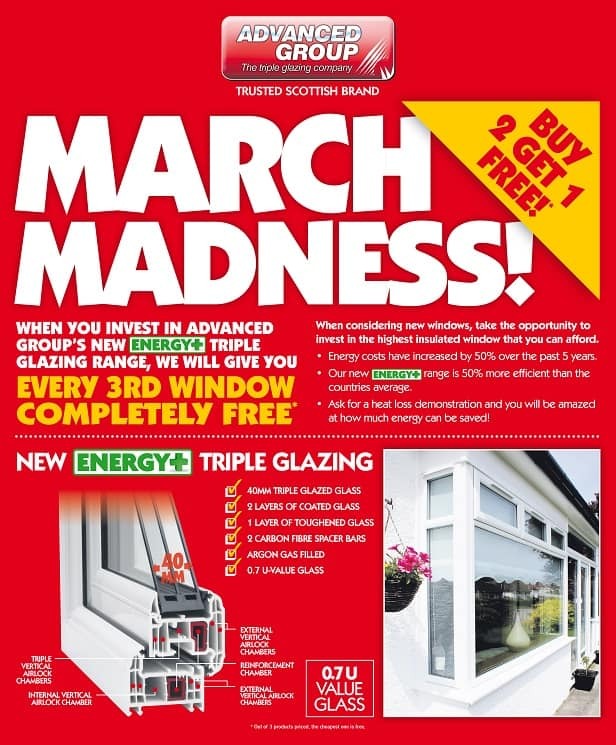 Well it’s not a case of phoning us and arranging a date for us to come out and fit some great free triple glazed windows, no, it’s an offer we have running…The truly amazing Advanced Group March madness offer. well it’s really quite simple, If you are in the market for replacement windows, this could be the answer to the overall cost. 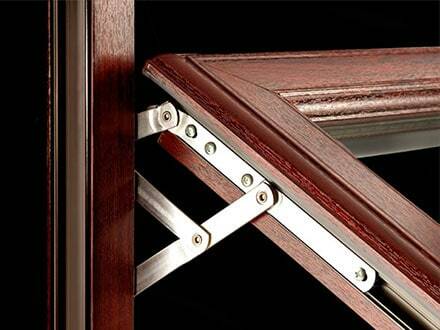 When you buy your triple glazing from the Advanced Group, we will give you every 3rd window required free of charge. So if you were going to be having six windows fitted, we would only charge you for four windows and you would get two for free. This is something that just can’t be bad, it’s absolutely great! We will show you a video in our next blog post that will feature a small selection of our range. Although, when you are buying your windows from us, there are a lot of different things to ask yourself, do you want French windows, top hung casement windows or are tilt & turn windows more your style? Then you have to also ask is about the finish, do you want bog standard white uPVC frames or do you fancy something more elaborate, like Naturally Grained uPVC Triple Glazed Windows? 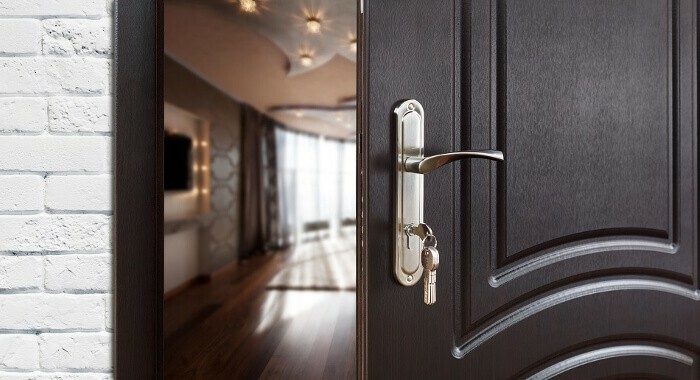 Then there is the finishing touches like handle styles and colours to think about, do you prefer modern of classic tyles and should it be brass or steel handles? The Choice is not quite, but nearly endless.